I felt I must write a note of thanks for the occasion of First Mile Stone.Thanks a lot to all my readers for the mile stone of reaching 1,00,030 visitors from 2nd March 2010. Our next goal is to achieve more readers in a day than the maximum readers of the day before. 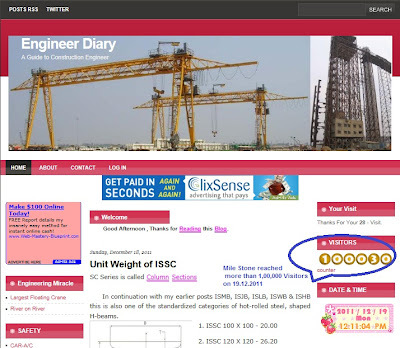 Since the launch of the site in the month of March 2010 there have been 29,046 absolute unique visitors who have read over 119,799 pages as of 17th Dec 2011. Some of the facts are listed below. 84.92% of visitors finding this site through search engines and 9.09% of visitors are through direct traffic. Eighty Three percentage of the visitors are finding the site through Google searches. During the past few months over 3,500 people have visited monthly and have read an average of 15,500 pages per month. 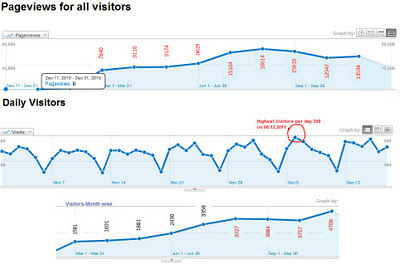 Highest page view month is August 2011 (16614 Page Views) . 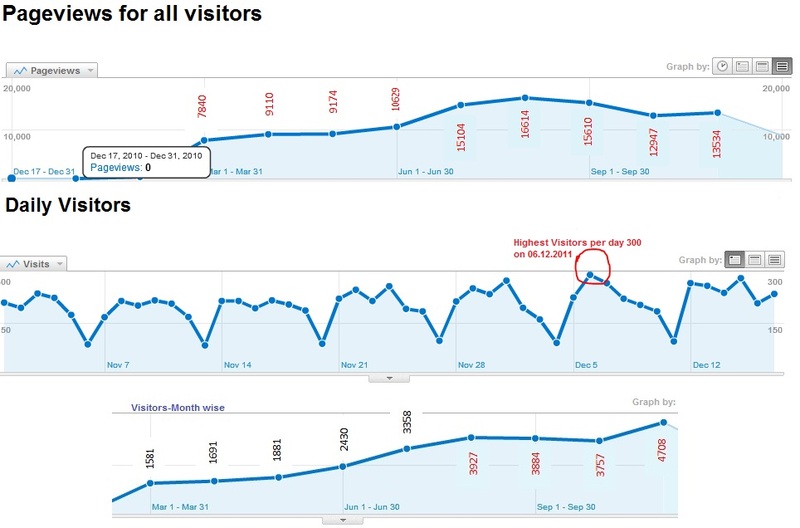 Highest visits per day is 6th Dec 2011 (300 Visits). Visits came from 149 countries/territories and top 10 Countries. 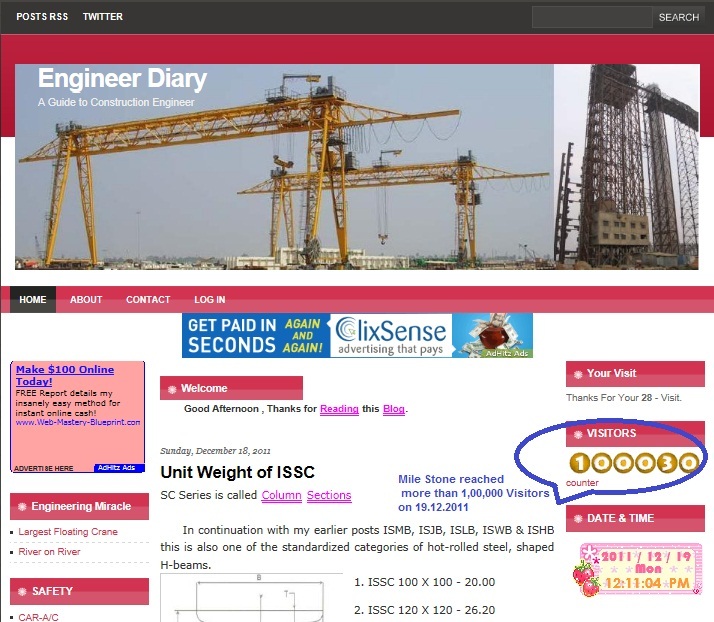 Average time on site is 03:28 and average pages per visit is 3.23. 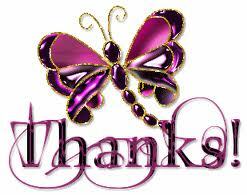 Thanks to all my readers. Your comments are much appreciated and I personally will respond to each one. I am confident that you will be more than satisfied and I personally will make sure you've got all the assistance you need going forward. Please tell your friends about this site.